Here I could have chosen another brighter color for the stamps to show the pattern with a bit more contrast, oh well. I was testing out some new stamping plates I ordered online. 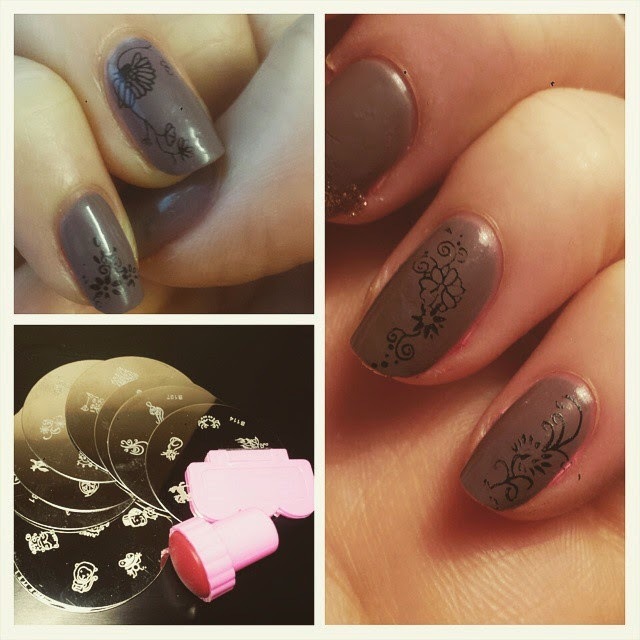 A good stamping nailart depends greatly on the quality of the stamping plate. This set I got from eBay wasn't very good as some of the patterns do not allow a nice transfer of polish onto the rubber stamp. Time to shop for more stamping plates! !